Existing Code Clinic customers recently received an email announcing a shift in our Web Hosting pricing. For some of you -especially our older clients- this may have come as something of a suprise. I can say for certain that we haven’t had any large price increases in our hosting plans, for more than 4 years. Any increases have been implemented only with new customers, and these have been very small in size. This was a conscious decision to keep prices as low as possible for customers without creating a situation where our clients were paying a wide range of differing prices for similar products. Keep in mind we generally offer a large discount on the initial purchase to help new businesses get started. Due to this desire to help out local businesses get online, we’ve never really found the time and truth be told ‘desire’ to increase our prices year on year. However, we’ve now reached a point where we need to make this change; not only from a financial point of view but also with regards to providing our loyal customers with a service which delivers a great value proposition that meets their business needs. Websites over the years have become more complicated, have begun to require more and more resources, and have started utilizing much more bandwidth. Meanwhile site owners are demanding better and quicker support. Website loading speed is now a major SEO factor dictating how visible your website is in search engines such as Google & Bing. Eventually this all becomes too much for low cost hosting – then service suffers, and site owners become unhappy. Nobody wins. Just 2 years ago for example we created a website for the Neumarkter Stadtlauf. Over the course of the days leading up to the race event, demand for the site was so high that it was unreachable at times, and this impacted some of our other customers sites for short periods. To overcome this issue and prevent any further impact upon our servers and websites, we quickly upgraded parts of our infrastructure. In 2017, we made further significant upgrades to ensure their was more than enough capacity, even if demand doubled from the previous year. We’re pleased to say; there was no down time for any of our servers, and all the sites we hosted were speedier than ever. This continues to be the case. As 2018 quickly approaches, we want to make sure that we offer the very best service that we can to all our clients. It’s also important to us that we offer great value and don’t charge a cent more than we absolutely must. We really, have delayed this price increase for as long as we possibly could whilst greatly increasing our capacity, improving our infrastructure and the availability of your websites. It’s certainly not a decision that we’ve made without a great deal of thought and calculations. Over these last 4 years, we’ve not made any profits from our hosting services and products. In fact typically we’ve been making a small loss despite receiving a substantial discount from our infrastructure provider. However, we’ve continued to invest heavily in this infrastructure to ensure we could provide you with a great service and minimal downtime. This discount is now coming to an end. As a result. we have spent a great deal of time and effort during 2017 researching and planning for the best options to take our service forward whilst continuing to offer great value for money. Professional Web Hosting requires a great deal of complex equipment, software and physical hardware. This also has to be housed in a secure, theft and disaster proof location within a controlled atmospheric environment. It also needs an incredibly large and fast communications network. This all comes at a great cost. As a result, Code Clinic rents equipment from providers that take care of this side of things. That allows us to take care of setting up the software and data side of the setup, which is incredibly complex and time consuming in its own right. Not to mention needs a great deal of knowledge, time and expertise to create and maintain. At present our servers are hosted in Holland within the highly popular Microsoft Azure network. This platform served us well over the first few years of business, but as we have grown and the number of website we’ve created and host, continue to rise, we’ve found that that platform hasn’t been as flexible as we’d hoped. 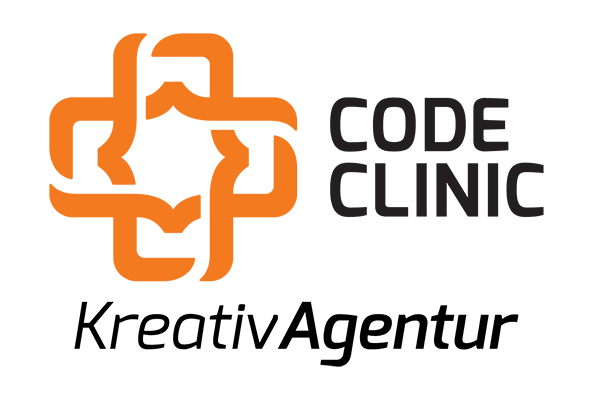 As a result it’s proved time consuming and at times incredibly difficult to meet the business needs of both Code Clinic and those of our customers. Additionally, prices have continued to increase exponentially. There are also several software challenges that this unique setup inherently brings with it. This has prevented us from doing some of the more advanced configurations that we’ve wanted to implement, that would bring speed, security and usability benefits. That’s why we made an internal commitment to plan a strategy that would meet our organisational needs for many years to come and at a price point that would allow us to continue to invest in our technology and hardware/software provisions. After a lot of discussion, planning and trials, we put together a solid plan to move away from the Azure platform to a new more flexible and robust provision. One that would enable us the freedom to develop our network of servers in the way that we need and want, and adapt as demand requires. Doing so at an affordable price point, always being on our minds. We’ve spent the last several months of 2017 putting this plan into action, and creating a network that can readily provide all of these requirements. As indicated in the email we sent to clients regarding this shift, we are now in a position to start offering greater speeds, better response times, less downtime, SSL certificates, secure highly deliverable email, and a network of task specific servers all located in Frankfurt Germany. The list of benefits is huge! Many of the websites that we host have already been migrated across to the new servers. The few remaining site owners will have already received an email indicating when your site will be migrated. If for some reason you’ve not received this, please give us a call and we can let you know when your site is due for migration. Once the migration process is fully complete, we will begin contacting clients where necessary to arrange things like SSL implementation etc. Meanwhile, we’ll be working behind the scenes to continue optimising all our services and sites. All Premium hosting clients will benefit from additional optimisations and distributed database caching which the Code Clinic team will take care of, for you automatically. So… Yes, we are increasing the price for our hosting plans. However, we’ve significantly overhauled our infrastructure and are continuing to do so. This means faster and more secure websites for you -our highly valued client-, which in turn improves your SEO visibility and customer satisfaction. Which in-turn helps drive more traffic to your website. We’re also adding a great deal of added value to all our hosting packages. In particular, PREMIUM HOSTING now not only comes with our WordPress / Clinical CMS manual update service & remote backups, it also includes free up-dates for more than €500 annual worth of premium software and plugins. We’ll also be adding more features and benefits over the coming weeks. In addition to offering the cheapest WordPress maintenance plan Code Clinic is also offering existing customers upto 50% discount. It was really important to us that the we bridge the gap for existing customers between the old pricing structure and the new. We know the new structure is incredible value -as shown by the figures above- but we wanted to do more for our long term clients. That’s why we fought really hard for this discount. This means that existing clients will be getting this awesome new & improved service for probably the best rate available on the internet at just €35 pcm !!! Remember, if you want to downgrade to our standard plan (currently €24,95) just drop us an email and we’ll take care of it for you. If you have any questions or concerns, please get in touch. We’d welcome the opportunity to put your mind at ease and assist you in any way that we can. We look forward to your continued custom & support.